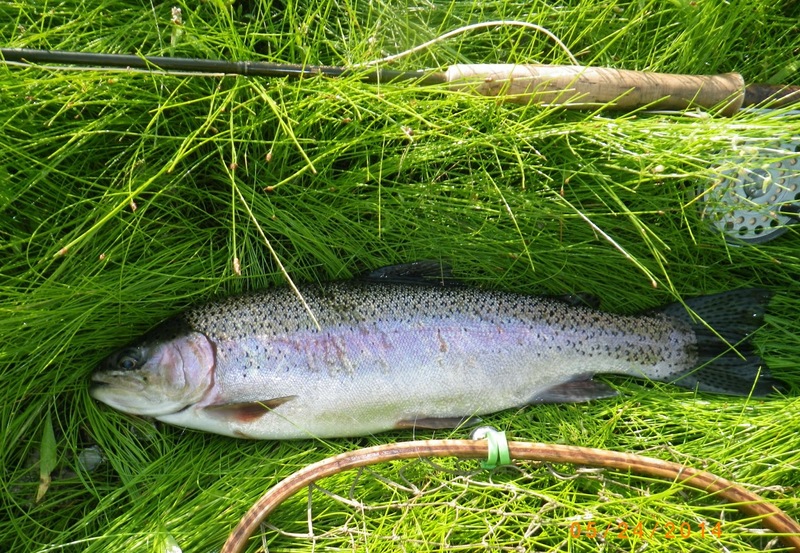 This 19" RAINBOW TROUT was right where she was supposed to be... BANG. Many jumps with this fish and after going downstream to net her... a quick release for another catch, next time. I love fishing STREAMERS !!!! FLY FISH TENNESSEE on Memorial Day Weekend -- nothin betta !! !